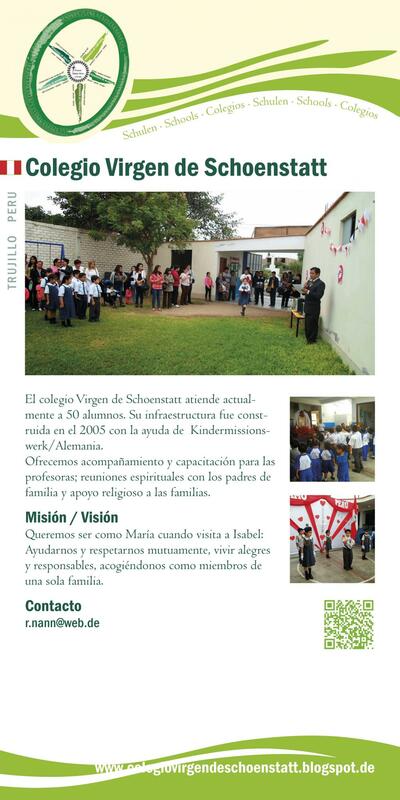 With the help of the Kindermissionswerk, Germany (Missio- nary work for children) the infrastructure for 6 classrooms was set up in 2005. At present the building is used as a Kindergarten with a total of 50 children. The teachers are offered spiritual accompaniment and trai- ning; in addition there are meetings with parents dealing with spiritual subjects, and the families can also be accompanied spiritually if desired. Our example: Mary visiting Eliisabeth. Like them we want to respect and help one another, live joyfully and re- sponsibly, and affirm one another as members of one, big family.